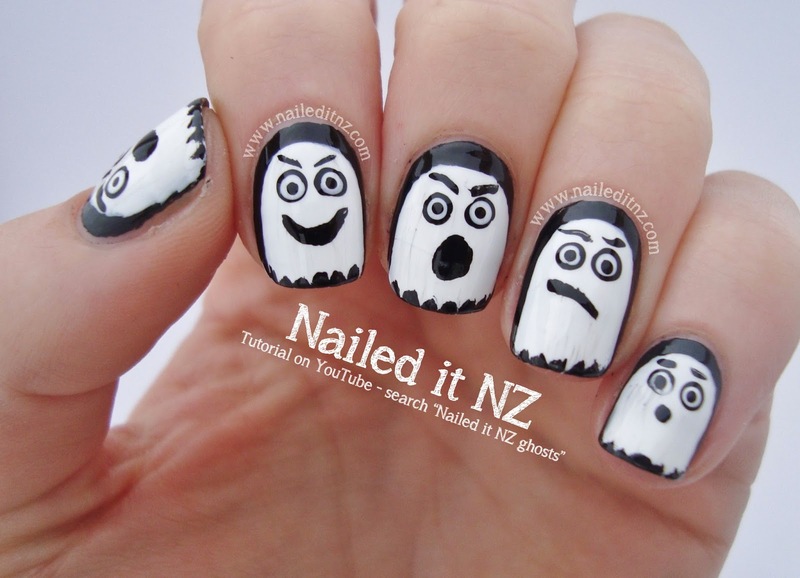 I wore these ghost nails last week and loved them! Better yet, they're surprisingly easy to do and are great for Halloween. It's crazy how much easier it is to do nail art when you know each step to take! So naturally, I did a YouTube tutorial for them, and a picture one will be up at some stage too. Like most of my videos, it's short and sweet - less than 2:30! Let me know what you think of it. 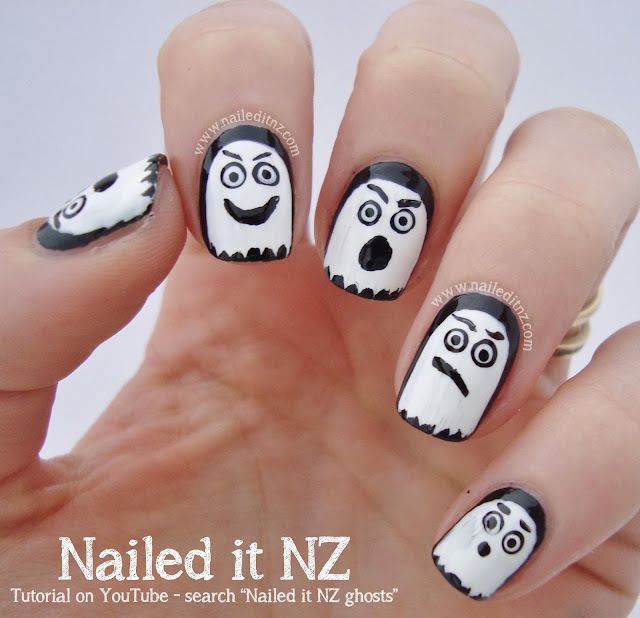 I reckon these ghosts would look super cute in multiple colours. I considered doing that but thought it might look too much like Pac-Man, and since it's coming up to the 31st October I figured I should stick to the Halloween theme. On a side note, I applied for nail school today! I'm so happy and excited and just wish February would hurry up and come around! I still have to wait four whole months -_-. Hope you like these little guys as much as I do! P.S: I had finally achieved squoval nails and then one on my left hand broke a couple of days ago. Heartbroken. Now I'm back to small, rounded nubs. I guess it's time for some more short nail tutorials? congrats on getting into nail school!!! I'll be starting on the 31st!